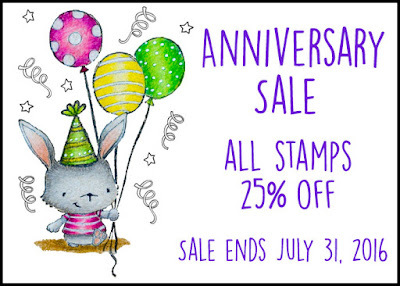 Have you check out the Anniversary Sale at Purple Onion Designs already? 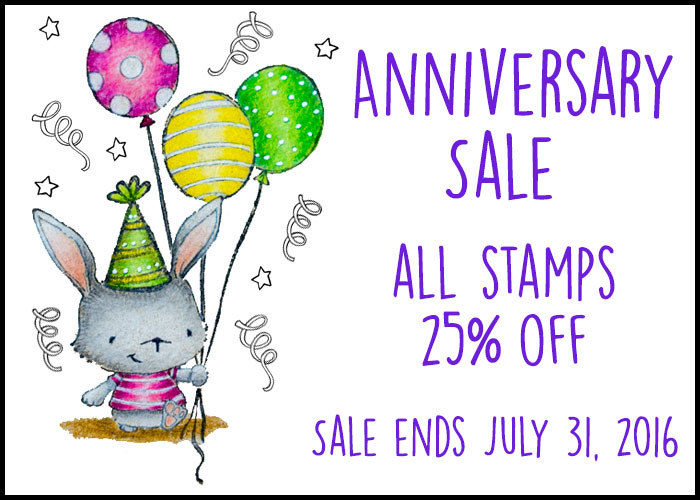 Be sure to take a look at the "sale" category as I have spotted a couple of versatile stamps that can be used on card for almost every occassion! This "thank you" card is created using Lily (the garden owl), Chip (the chipmunk), May (the garden bird), Oliver (garden mouse with hat), and a balloon from the Ballon trio and streamer. All these cute critters images were stamped using my favourite Memento Tuxedo Black ink pad and coloured with Copic markers. For this time round, I didn't use my Silhouette Cameo Pix Scan function to cut the images but I fussy cut them with my pair of EK tools Precision Scissors. 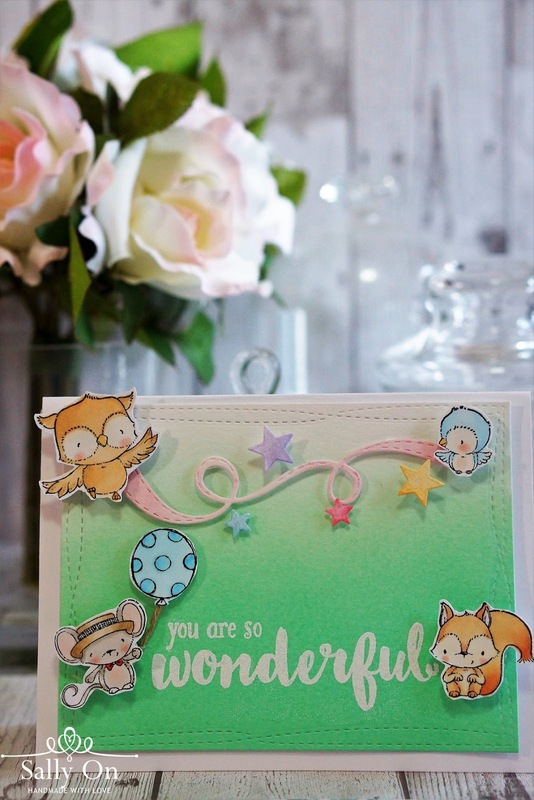 For the base card, I used Tim Holtz Distress Ink Pad in cracked pistachio and with the blending tool, I gave it a soft gradient of green. As for the sentiment, I stamped it with Versamark embossing ink, sprinkled some white embossing powder over and heat set it. 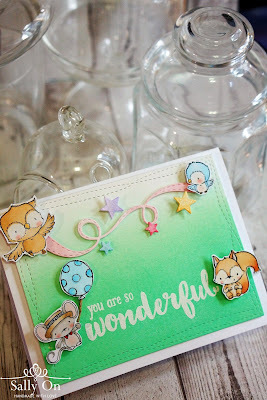 To make the card a little more fun, I added a sweet ribbon banner from Memory Box banner parade die set. I hope you like what I've shared today. 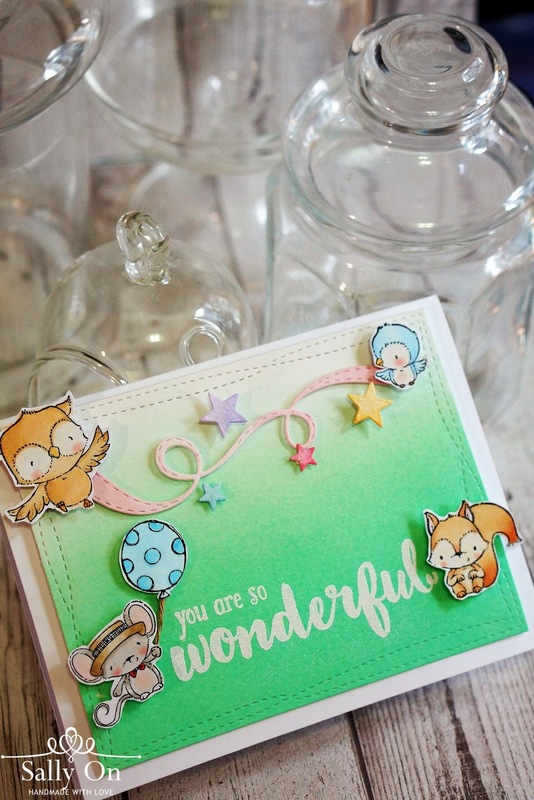 Please do visit Purple Onion Designs for more inspirations and take a look at the very pretty and amazing projects from the DT. Have a great weekend and happy crafting!